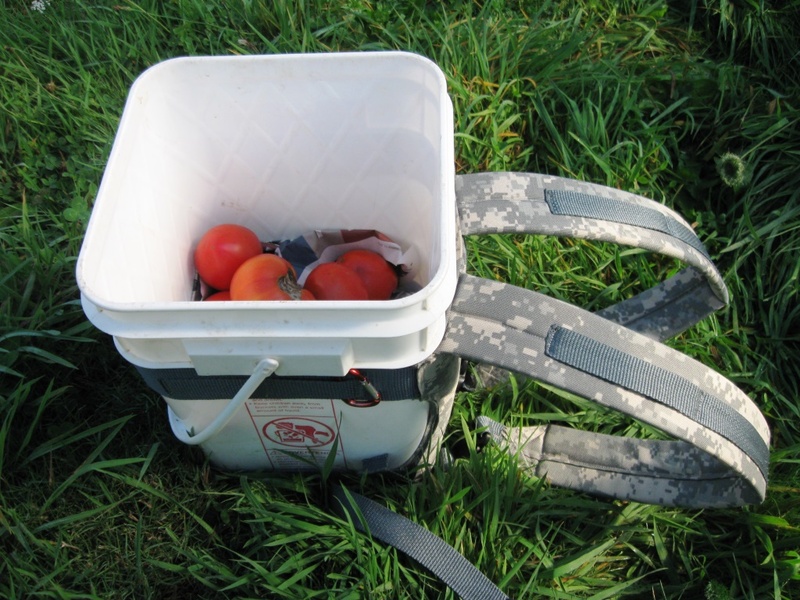 I’ve had the opportunity recently to test out the new Five Gallon Pack around the farm. The owner of the company was kind enough to send us one to use for testing, promising we would find use for it. The pack is popular with outdoor enthusiasts of all sorts – anglers, hunters, spelunkers and prospectors. My hands were made more for typing so I found a more domestic use for it – harvesting this year’s sizable tomato crop. I found wearing a square bucket more comfortable than a round one. 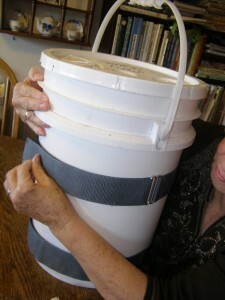 The bucket “front loader” worked great for harvesting fruit and vegetables at elbow level or higher. Much better than the clumsy bucket saddlebags we had before. For anything lower than waist level, it works better to set the bucket level on the ground. Crumpled up newspaper lining the bottom cushions softer fruit like tomatoes. I would have liked an extra strap between the shoulder straps to tighten it up better while wearing it frontwards. I think this could easily be bodged together with a belt or twine. 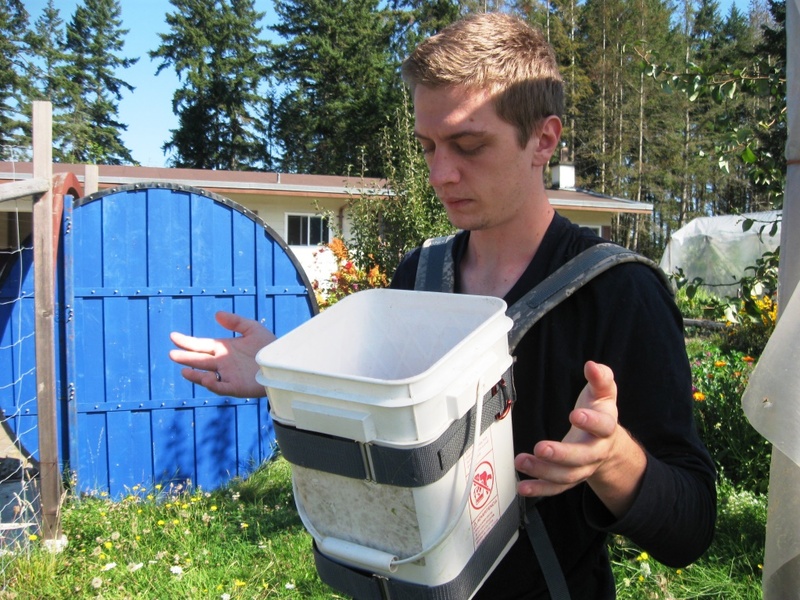 I can see fruit picking workers adopting these bucket packs as a way to make their jobs easier and more efficient. 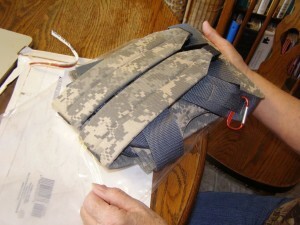 You can find more pictures and purchase information over on the inventor’s website fivegallonpack.com. The website mentioned does not work. Is this product still available?